Let your crock pot do half the work this Christmas, with these 35 unbeatable side dishes you simply can't pass up! 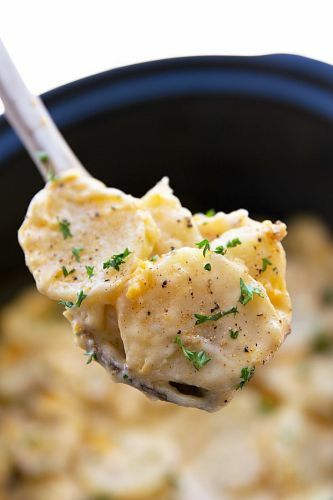 These crock pot potatoes cooked au gratin (cheesy-style) are just as cheesy and creamy as the oven-baked version. They might not have the same melted "crust," but trust us, no one will care. Keep them from becoming soggy by tossing a few paper towels on top—they'll soak up the excess moisture and liquid, leaving you with crisper, yummier potatoes.